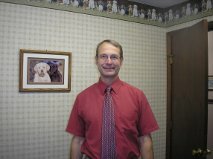 Mapleview Animal Hospital was established in 1972 by Dr. James Lonz. Our goal is to provide you and your pet with an optimum level of veterinary care. In order to achieve this, we have staffed our facility with competent, well-trained individuals who are both caring and responsive to your veterinary needs. We have six licensed veterinarians on staff. 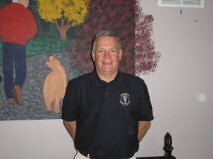 Dr. James Lonz, DVM earned a Bachelor of Science and Doctor of Veterinary Medicine from The Ohio State University in 1967, where he was a member of the Phi Zeta National Veterinary Honor Society. A Norwalk native, he served as Captain in the US Army Veterinary Corps. Following military ​service, Dr. Lonz practiced in Pheonix, Arizona until returning to Norwalk and establishing Mapleview Animal Hospital in 1972. 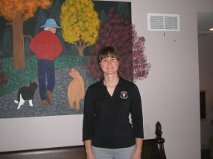 Dr. Wendy Freeland, DVM earned a Bachelor of Science in 1999 and a Doctor of Veterinary Medicine degree from The Ohio State University in 2004. Dr. Freeland's caring for animals started at a young age. She used to come to Mapleview Animal Hospital as a small child with her mom (a breeder) for Dr. Lonz to examine litters of puppies- "I remember him giving me a toy and explaining his job." She also enjoys the challenge of non-verbal patients. Her goal for every patient visit is to address all concerns about the pet to make sure the client and pet have the longest, healthiest lifetime together (to strengthen the human- animal bond). ​Her family is composed of her husband, Chris, daughter, Olivia, and dog, Rocko. She lives by the philosophy, "be present and enjoy every moment." Dr. Anna O'Donnell, DVM earned a Bachelor of Arts degree in Biology from the College of Wooster in 1991 and a Doctor of Veterinary Medicine degree from The Ohio State University in 1995. 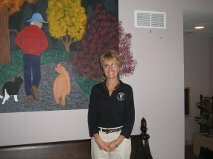 Since Dr. O'Donnell has been a child, she has had a heart for animals and loved spending time with them. She also enjoyed math and science, so she chose veterinary medicine as her career path in high school- "a desire to help people by promoting health in their pets has kept this passion alive." With every patient visit, Dr. O'Donnell's goal is to be the patients advocate and meet the client's needs; including prevention of illness, relief of suffering, and providing medical and surgical care to return the pet to the healthiest state possible. ​Her family consists of her parents, two sisters and their husbands, one brother and his wife, two nieces and four nephews. Since they live far away, Dr. O'Donnell sees them periodically, but does live with her adorable female yellow Labrador named Sierra and two adventurous cats named Slick and Josh. She lives by the philosophy, "by the grace of God, my hope is to overcome selflessness and fear and love and serve others with a grateful heart." Dr. Lisa Baltes, DVM earned a Bachelor of Science and Doctor of Veterinary Medicine from The Ohio State University in 1988. Dr. Baltes became a veterinarian because she was greatly influenced by her kind-hearted father who brought home stray dogs, sheep, rabbits, and a horse when she was young. She fell in love with the idea of saving these companions by solving the mysteries of their illness and then devising a plan for their treatment and care. Her goal with every patient visit is to care for pets the best way possible and always respect the individual needs and wishes of their human companion. Her family includes her husband, Bob, daughter, Rachel, sons Danny and Luke, Goldendoodle, Reese and cat, Lady. Dr. Baltes lives by the philosophy, "be kind to everyone- I try to treat others the way that I would want others to treat my mom." Dr. Jowdy Johnson, DVM earned a Bachelor of Science degree in Agriculture in 1974 and a Doctor of Veterinary Medicine in 1979 from The Ohio State University. Dr. Johnson knew from a very young age that he enjoyed working with animals and it was in that interest and desire to learn as a young adult as to why he choose veterinary medicine as a profession. His goal with every patient visit is to have each client feel as relaxed and comfortable as a family member and to treat each patient as if they were my own. His family consists of his wife, Joy, two adult sons, and a special needs daughter. Dr. Johnson lives by the philosophy, "be positive, be compassionate, and do the best you can." Dr. Angela Gonya, DVM graduated from The Ohio State University in 2009 with a Bachelor of Science in Environment and Natural Resources with a Business minor. She obtained a Doctor of Veterinary Medicine degree in 2015 from The Ohio State University. She became interested in veterinary medicine because of a love for animals and a true passion to nurture and preserve the human-animal bond. Her goal with every patient visit is to treat patients as if they are her own pet and to take the time to truly nurture the human-animal bond. Dr. Gonya's family is composed of Colby- her four-legged brindle boy, mother, Linda, father, Gerry, older brother, Aaron, and younger sister, Alyse.